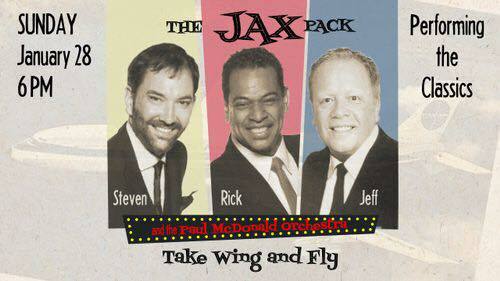 “Take Wing And Fly” at Campus JAX, Sunday, January ,28 with JAX favorite, Steven Michael Jazz and a couple of his pals, Rick Jarrett and Jeff Mullen forming The JAX Pack for an amazing night of vintage big band orchestra song and dance. 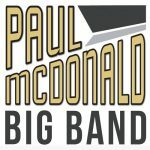 The Paul McDonald Big Band Orchestra features some of LA’s top studio and live performance musicians. Buy now at https://jaxhideaway.com with dinner included. This event will sell out so get your tickets now or call (949) 261-6270. – Campus JAX features SoCal’s best musicians and bands every Thursday-Sunday. For JAX original California Cajun Style menu, entertainment schedule, and dinner reservation information visit https://www.campusjax.com.